ANSWER: our school WILL provide an interpreter if requested. Also, with the advances in technology, teachers are able to have their emails, etc. transcribed into the language needed to help the family. ANSWER: that these CAN BE transcribed via computer if this was needed/requested. We will be in room 31, 9:30am to 4:30pm Through Thurs Jun 1! Any help is always appreciated ! Thank you to Gregg and Jill Baimel who are working on the video montage for the celebration. If you have not returned your permission slip, please remember to do so so that your 4th grader can stay after school and celebrate and get their yearbook signed. We are hoping to get the yearbooks to the other grades on Monday and the teachers can distribute as part of their schedule for end of the year events. Volunteers are needed for Middle Gate Field Day on Monday, June 5 (rain date is Tuesday, June 6). Grades 2, 3 and 4 will need help from 9:45 - noon. Grades K and 1 can use help from 12:30 - 2:30. If you are able to help with grades 2, 3 and 4 please contact Laura Cooper at cooperl@newtown.k12.ct.us. 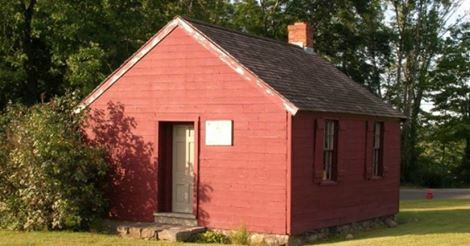 You may contact Tony Sortino at sortinot@newtown.k12.ct.us if you are able to help with grades K and 1. If your child is interested in being a bus buddy and can attend this event that would be great. At this time we don't know what the bus routes will be so cannot officially assign bus buddies. However, it would be nice to have a great turnout of current MG students to greet the incoming K students on the playground and let them see for themselves why MG is so special. We are looking at having this event from 5 p.m. - 6 p.m.
Last PTA General Meeting of the year. This will include a quick vote on a few additional board members and the PTA budget for next year. Then we will be having cake and snacks to thank all of the volunteers for all of their hard work this year. Please come celebrate with us and welcome the new PTA Executive Board and show your support for them. We are looking into a food vendor for this event and have assurances from the theater contacts that you will be able to bring your food in with you to sit in the theater this year. The cost is $3 per person which will be collected in advance. This will be a nice way to gather together one last time as a community before the end of the school year. Drinks, popcorn, etc. will be available at the concession stand as well. REMINDER: June 13, 14, 15 are early dismissal days. Last day of school is June 15th. Don't forget to check the lost and found over the next few weeks. It is in the MG Cafeteria in a tall cabinet to the right as you walk in the door to the Cafeteria. Remember that this year the teacher placements will be announced via the Parent Portal and not a letter home. Please contact Laura Altieri in the main office if you have not logged on to the parent portal before or do not know what your password is. Well, here we are. Another wonderful school year is coming to a close. This year is especially tough for me as we have to say good bye to our Middle Gate Family and move on to Reed. While I know there will be lots of new adventures there, I can not help but be emotional that our Middle Gate journey is almost complete. As I was looking through photos to submit for the 4th grade presentation, there were many class pictures of our children together. Cub Scouts, baseball, basketball, so many great pictures and great memories. It is hard to believe we fit so much into these last 5 years! Jill Baimel and I have been working with Amy Habboush to be sure she and the new board have everything they need to start their term on July 1st. We recently had an executive board meeting with Amy Habboush and Jessica Sachs present. Everyone on the current board has offered their support to the new board and will continue to help them and offer guidance if requested/needed. I will continue to work with Amy and Jessica over the summer as needed and am available for questions next year if they need it. I am sure the many others who have chaired events, volunteered, etc. will offer assistance and guidance as well. Most of the committees have chair people for next year which means you are off to a great start! It has been my great pleasure to serve on the Middle Gate PTA Executive Board. I have met so many lovely people and have made lasting friendships. These last almost two years as PTA President has been a really wonderful experience and I have all of you to thank for that. The PTA Executive Board and all of the people that volunteered, chaired events, supported events and fundraisers, donated things to events, supported our Middle Gate family whenever needed. What a blessing. We have done a lot together. Purchased document cameras for the classrooms, shelving units, books for classrooms and the library, a puppet theater for the library, sound panels for the cafeteria, a shed for the athletic department, science presentations, assemblies, a new sound system for the gym/auditorium, picnic tables and benches for outdoor class time, beautification of the courtyards (we still have more scheduled for that!) update of the teacher's lounge, new programs like Friends of the Middle Gate Library (and Mural), Kindergarten Bus Buddy Program and most recently our two Ben's Bells Murals. I have been working with Gino Faiella who is the supervisor of facilities for the Newtown School District to get more cooling stations for Middle Gate. Currently, the library just received units and should be up and running as a cooling station and I was told the two computer rooms will also have the air cooling systems in place to be cooling stations as well. We are hoping to have our School of Excellence designation approved by the end of the summer. This doesn't even include all the wonderful social events that we have hosted AND new events added. The Parent's Night Out event was brought back, Trunk or Treat, The Sock Hop and The Holiday Boutique were added and fun was had by all! This doesn't even cover all of it. You all had a part in making these positive changes at Middle Gate. Thank you, thank you, thank you. I know the Middle Gate family will continue to do great things. It is truly a school community like no other. I recently said to someone "but I won't be a Middle Gater anymore." They told me, "once a Middle Gater, always a Middle Gater". Have a wonderful summer. Keep in touch! 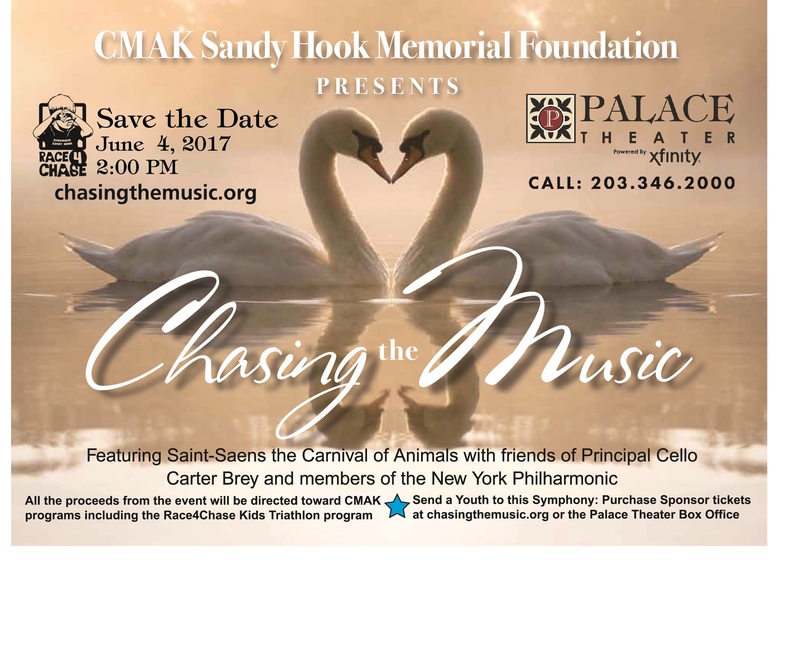 Students in the Newtown Public Schools have a special role in the upcoming concert "Chasing the Music". While members of the NY Philharmonic perform Saint-Saens Carnival of Animals, the audience will enjoy animal art work created by our elementary students and narration written by Newtown High School students in their English classes. Through a generous donation, a limited number of free tickets are available for Newtown children to attend. Tickets have been set aside for students who have contributed their work for they and a parent to attend. All others should contact Emily Grimes at grimers2018@gmail.com by Wednesday, May 31 for free tickets. They will be available on a first come, first serve basis. Take advantage of this wonderful family event and hear members of the NY Philharmonic perform live. In addition, there is the opportunity to hear Carter Brey (Principal Cellist-NY Philharmonic) perform solo, followed by a reception to meet the performers. What a great opportunity for our students!